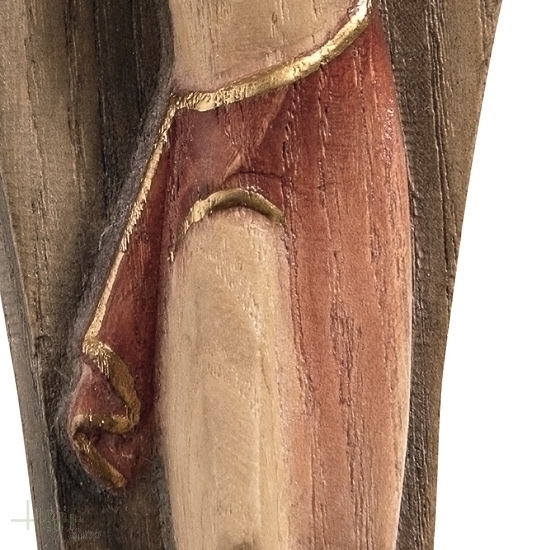 Crucifix in wood that is the Son of the Father in the red tunic with gold profile. 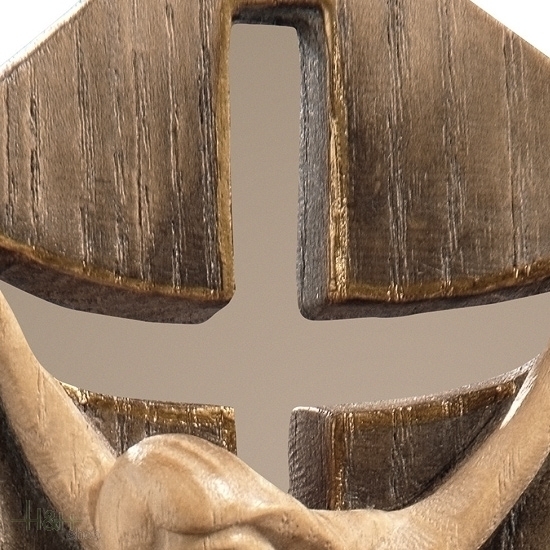 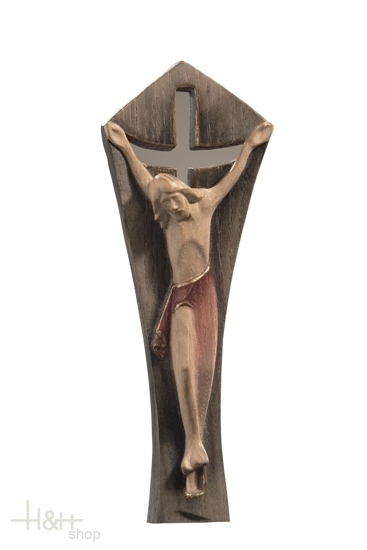 This sculpture, modern, sharp design lines and elongated, is reflecting the tradition of the Passion with the face of Christ. 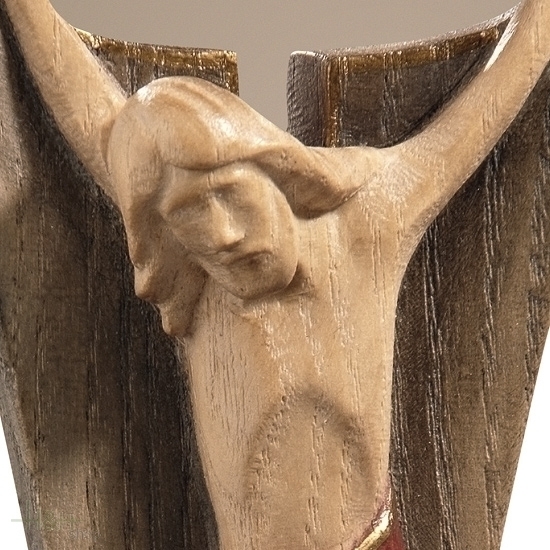 The body of Christ, though stylized, has a fine work in the face and hair in the face it transmits all the emotions of passion, making this sculpture very emotional, while maintaining the character of the typical design of the Art Collection line.